When it comes to breakfast, I have to admit that I am really more of a pancakes kind of person. Don’t get me wrong, I like waffles but you just can’t beat some good cheesecake pancakes or some pumpkin pancakes. 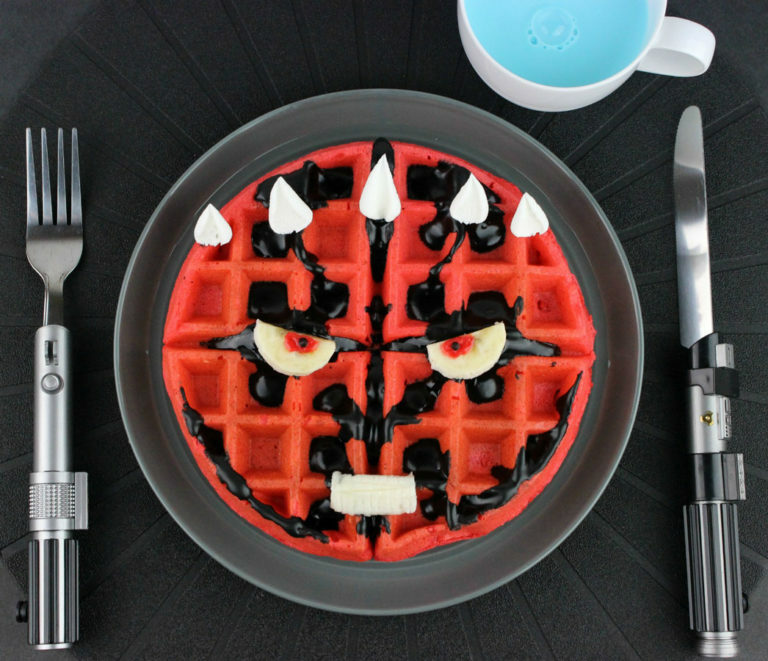 However, for the waffle loving Star Wars fans, perhaps you would enjoy breakfast a lot more with one of these delicious looking Darth Maul waffles! 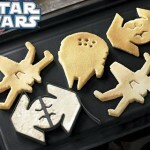 The official Star Wars site posted these delicious looking Darth Maul waffles or Darth Maul-ffles if you will and even posted the recipe and some making of pictures for those who might be interested in making making some Darth Maul waffles for themselves! Of course you will have to buy the Star Wars lightsaber flatware set to complete the Star Wars breakfast experience but if you hurry, they are 80% off right now! That means you can get an awesome Star Wars lightsaber flatware set for $2.99 instead of the normal $14.99! I’m not sure how long that sale will last so hopefully you see this post before its gone but if not, $15 still seems quite reasonable for this set of Star Wars flatware. 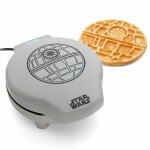 Perhaps this is just a little more work for having a Star Wars breakfast than if you just used a Death Star waffle maker, but I think it is definitely worth it although Death Star waffles are pretty awesome. And now I am really hungry for breakfast. 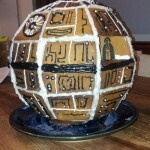 I am curious, do you make any sort of fun creations like this with your breakfast? 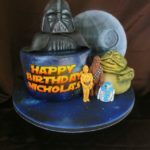 Let me know in the comments below and if you have any special recipes for your geeky breakfasts, feel free to share them too! And pictures are always welcome! 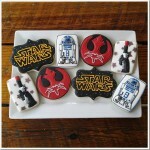 Share this with any Star Wars fans and waffle lovers you know! 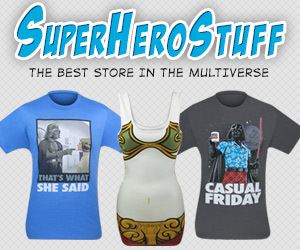 Make sure you go and Like Global Geek News on Facebook and follow us on Twitter too!